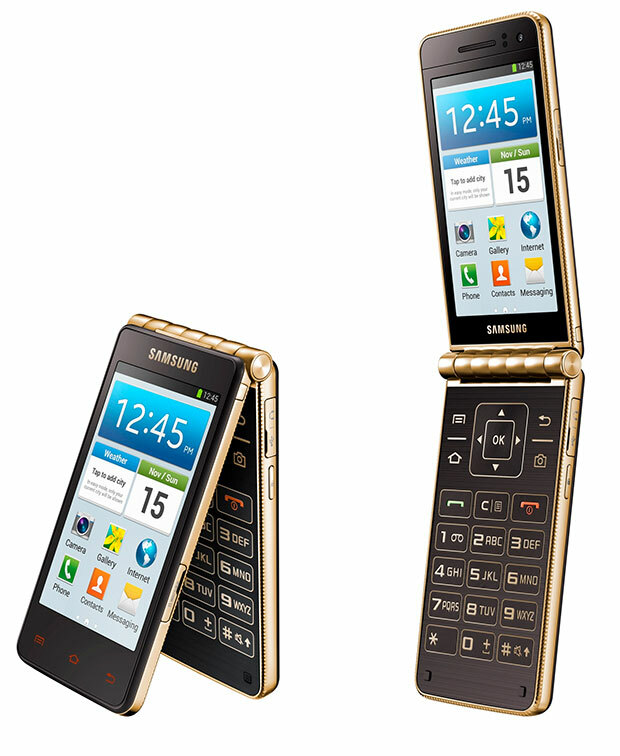 The rise of touchscreen phones made the flip form factor obsolete but Samsung is trying to bring the aging clamshell back with the Galaxy Golden. The phone comes in Gold colour and boasts two 3.7-inch WVGA Super AMOLED displays. Internally, the phone is more or less similar to the Galaxy S4 mini with a 1.7GHz dual-core processor, 1.5GB RAM, an 8MP and 1.9MP rear and front-facing cameras, Wi-Fi, Bluetooth and GPS. The phone however, comes with 16GB internal memory and an Easy Mode. All said and done, the surprising part of the device is the price. Samsung has priced it at Rs. 51,900, making it more expensive than the more powerful Galaxy Note 3 and the Galaxy S4. Perhaps, Samsung reckons consumers will be attracted to the golden hue!